Remarketing, as the name implies, re-markets your services or products to the people who have had visited your website or used the mobile app through a raft of banner ads, across the web on display and search network of Google. The feature—applicable to almost all Google AdWords campaigns—connects the service provider or seller like never before; in other words, use remarketing to boost ROI and enables you to be the exactly where your consumers or clients are on the web, across all devices. The advertisement avenue helps top power sales, enhance brand awareness, and increase registrations on the website. Internet marketers can use the remarketing to create different lists for a range of visitors based on their on-web behavior, follow them around the web, and at right time, display ads to them. With the avenue, you can increase the probability of the conversion and increase the ROI. Google remarketing campaign offer flexibility and guides you about the different ways to track and convert consumers. Related Article: How does the Content Quantity Increase your Traffic? How does remarketing help reach the target audience? With remarketing, advertisers get the ability to follow the consumers on other websites and smartphone apps because a cookie, a small snippet of code offered by AdWords, is dropped on the user’s browser when they visit your website or app. The small snippet allows you to track the visitors on the web and offers advertisement opportunities, which help them draw back to your site. The campaign managers, based on the behavior of the user, can determine which set of users to follow by creating the remarketing list of visitors. For example, one can create a list for the most popular products on your website and tailored advertisement for that set of visitors. Moreover, with Google remarketing services, the campaign handlers get flexibility to choose the display network and search network based on the requirement. Worth Reading: How to insert SEO Keywords in An Article? 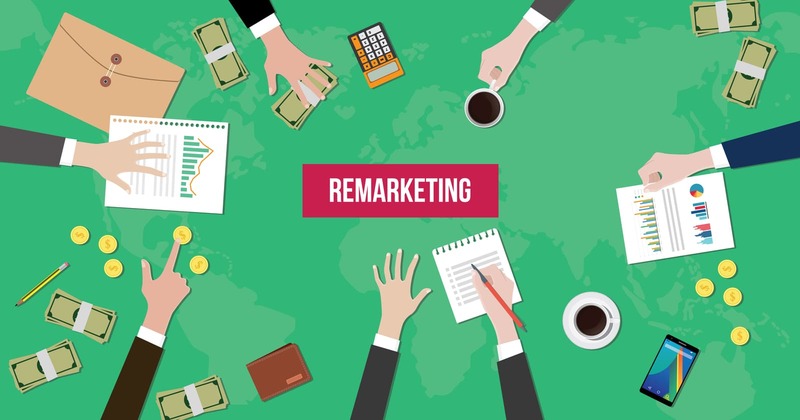 What are the benefits offered by remarketing? Get access to touch points when visitor is most engagedRemarketing does not bombard your past visitors all the time, instead it offers you access to the consumer when they are most likely to make a buy. For example, Google will display your ads when a given visitor is searching for the products, offering well-timed touch points to increase the probability of the sale or conversion. Customize the list as per the goal of the businessAdWords Remarketing is flexible, letting you tailor your list in line with the goal of the business. For example, you can create a list for cart abandoners. Similarly, a range of list can be made with a different set of targeting and focus points. Wide reach to the consumersWith remarketing, you get access to over two million websites and apps, making it the biggest internet-marketing tool with the ability to follow a specific set of consumers. No other options come close when it comes to remarketing. Efficient mean to convert consumersUnlike Adwords, the auction is not highly competitive, where a number advertisers bid for a single keyword, and thus, campaign managers can churn higher profits for the accounts. For helping users, Google also offers automated bid strategies, which account cost per acquisition and return on advertisement spend. Create multi-media adsAd gallery helps you make text, image and video with incurring any extra cost. With the advent of dynamic remarketing, the ads have become a lot more comprehensive, pairing the feed with gallery layouts. How to Build a Fan Following for Your New Blog? How to Write an Attractive Title for Your Blog Post?